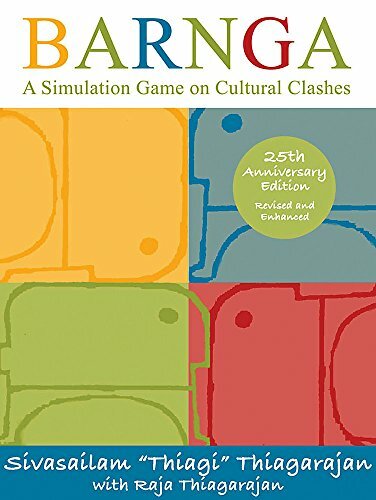 Wholly revised to celebrate its 25th anniversary, Barnga is the classic simulation game for exploring communication challenges across cultures. While playing Barnga, participants experience the shock of realizing that despite their good intentions and the many similarities amongst themselves, people interpret things differently from in profoundly important ways, especially people from differing cultures. Players learn that they must understand and reconcile these differences if they want to function effectively in a cross-cultural group. The "game" is deceptively simple: participants, broken up into several small groups, play a simple card, never knowing that each group has been given a subtly different set of rules to play by, nor that those rules will change yet again as the game develops and groups of players are reconfigured. Conflicts quickly begin to occur as players move from group to group, simulating real cross-cultural encounters, where people initially believe they share the same understanding of the basic rules and learn to their dismay and confusion that they do not. In discovering that the rules are different, players undergo a mini culture shock similar to actual experience when entering a different culture. They then must struggle to understand and reconcile these differences to play the game effectively in their "cross-cultural" groups. Difficulties are magnified by the fact that players may not speak to each other but can communicate only through gestures or pictures. In struggling to understand why other players don't seem to be playing correctly, and with the aid of the facilitator, participants gain insight into the dynamics of cross-cultural encounters. If you have any questions about this product by Intercultural Press, contact us by completing and submitting the form below. If you are looking for a specif part number, please include it with your message.